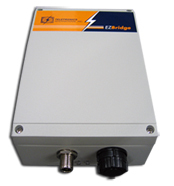 The Teletronics EZBridge aims at providing assistance in building a connection between your wired LAN and one or more Wireless Local Area Networks. Works with any device that has an Ethernet port. LED indicators show units operating status. Web-based configuration screen enables fast and easy setup. 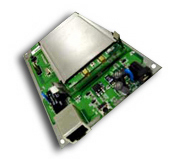 Supports Station Bridge, Ad-Hoc and Access Point modes. Supports RTS threshold control for better throughput. Wireless data encryption with 64 and 128 bits encryption for security. © Copyright 2007 Teletronics International Inc.